We are a top-notch organization, engaged in providing Mridanga. DHOLAKI - Wooden, Rope Fittings. We are one of the prominent manufacturers of Khol, a musical instrument which originated in West Bengal. 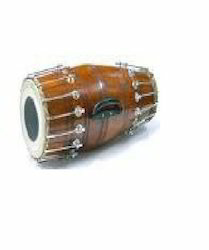 Mainly used for devotional and folk music, Khol is a two-headed drum which is most commonly known as mrdanga. We manufacture different types of Khols which are made of brass and clay. The body of khol is made of fiberglass. 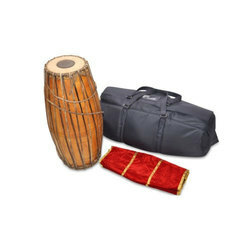 We take pleasure to introduce ourselves as one of the renowned firms for providing the best-in-class range of Mridangam Dholak. Relying on our expertise in this domain, we are into offering Musical Mridangam. Our company has earned accolades in providing Musical clay khol to the clients. Musical Glockenspiel is made from fine grade quality material and with the help of modern technology under the leadership of experts.